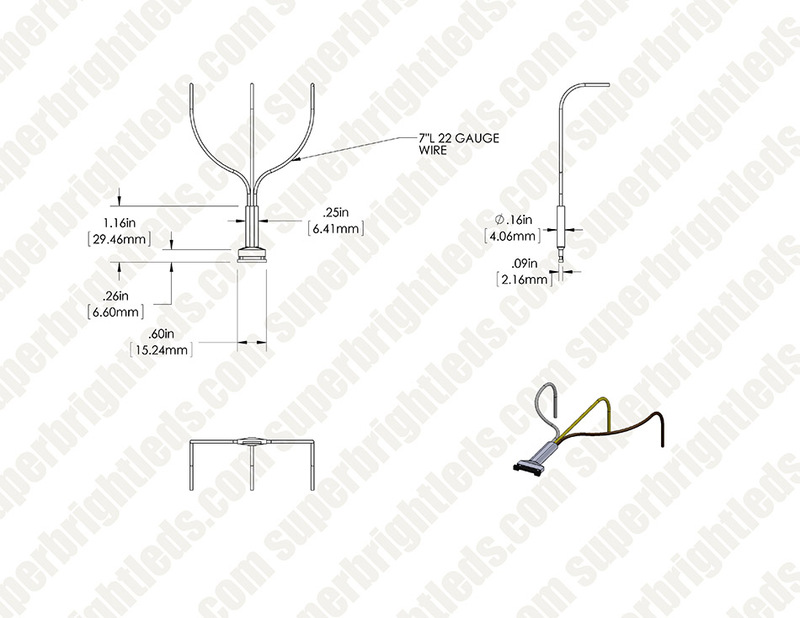 NFLS10-3CPT three contact 10mm VCT strip solderless pigtail connector. 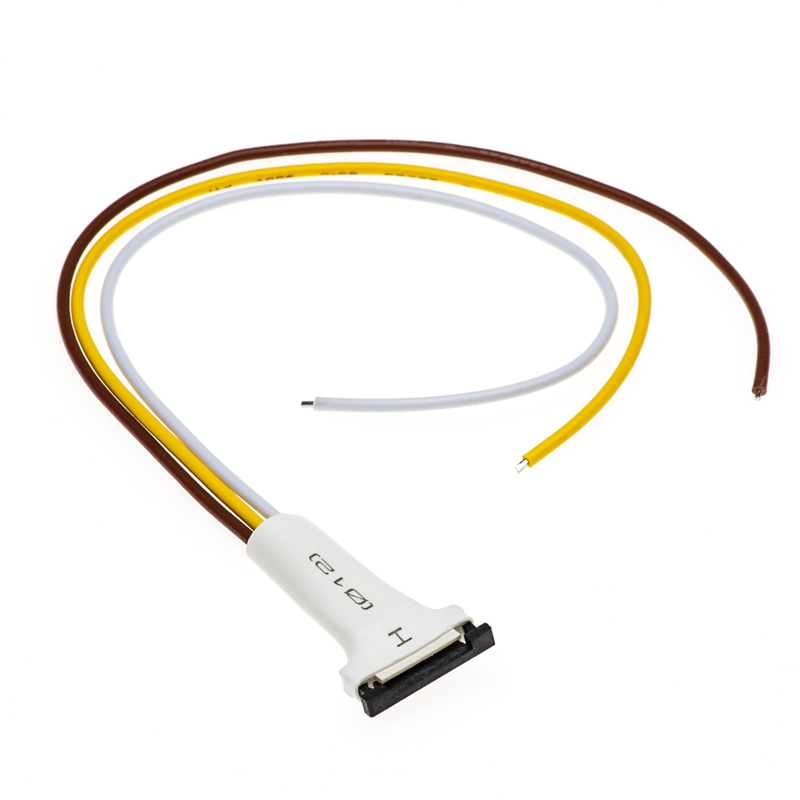 Attaches directly to 10mm Variable Color Temperature NFLS strips to provide power wires at any cut segment. 20.32cm(8in) length. The product itself isn't bad, however it doesn't work well with the variable white LED strip that has 3 copper contacts. What I found that made these work was to use some type of pin to push the copper contacts out from the back of the strip. This make the 3 copper dot contacts protrude a bit, which allows these connectors to make a much more solid connection to the end of the strip. 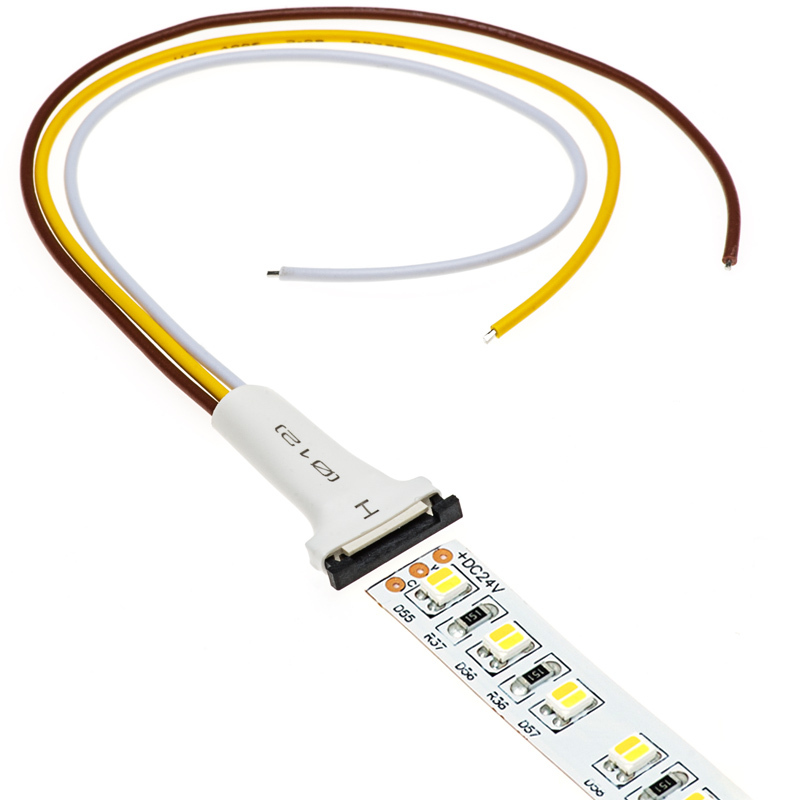 What would be great is if there was a tool that could automatically punch out the contacts on the LED strip, so that a solid connection could be made every time. 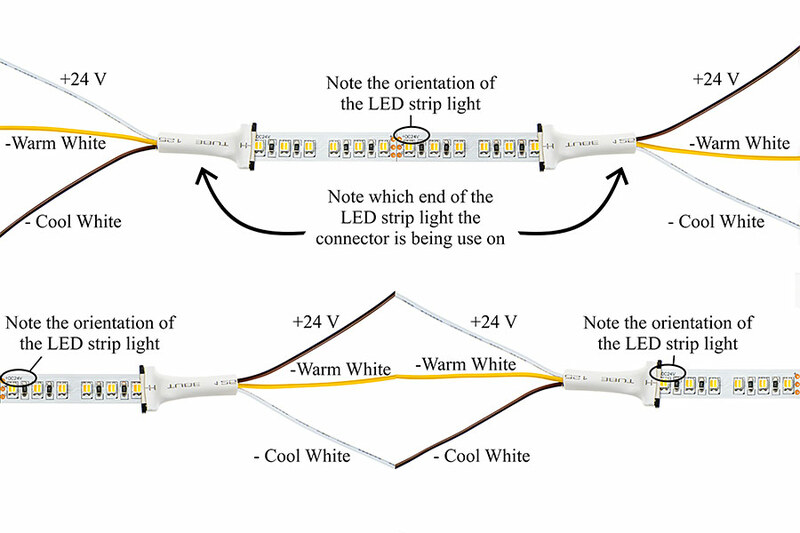 This product makes it easier to connect LED strips but using it is not intuitive. Definitely needs instructions how to use connector and preparing strip ends. I may be a bit liberal on the 4 star rating. These pigtails are a little frustrating but they do their job. They don't have a positive click to lock the tape light in. You basically have to trust they aren't going to move much. They work, and it's a lot easier than soldering to the tape lights. I did that on two of them and it took forever and needed to be perfect. The pigtails are fast and work well. If you have a lot of them, you may have to keep checking the connections as you go. I have to modify the connection for it to work, hard to make a solid connection.